Don’t go too fast:Maintain a steady and reasonable speed while driving on the road. 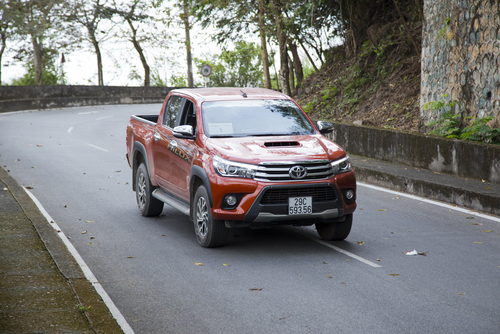 The pickup has a lot of momentum and it can be quite a challenge to brake suddenly. Always put on your seatbelt while driving the pickup or any vehicle. Optimal Loading: You have a huge vehicle and should make full use of it. This does not mean that you ought to load it beyond its safe carrying capacity. Overloading the vehicle adversely affects your balance and control – it might even lead to an unfortunate accident. Be aware of blind spots: A large pickup tends to have a greater blind spots as compared to a normal car. Ensure that you know where the blind spots are and adjust your mirrors accordingly to mitigate them. Practice caution while turning and reversing: Acclimating to the weight distribution of a pickup can be a bit tough for you. Be very careful when turning and reversing the vehicle – stay on the side of caution and take adequate space to maneuver. Invest in Proper Maintenance: Go for regular maintenance as these periodic trips to the mechanic will save you both time and money in the long-run. Keep an eye on the tire pressure and coolant levels of the vehicle. Step in to Tim’s Truck Capital & Auto Sales Inc. and check out the latest models. Tim’s Truck Capital & Auto Sales Inc.